Enthusiasts of food and togetherness, rejoice! Your favorite holiday is nearly upon us! 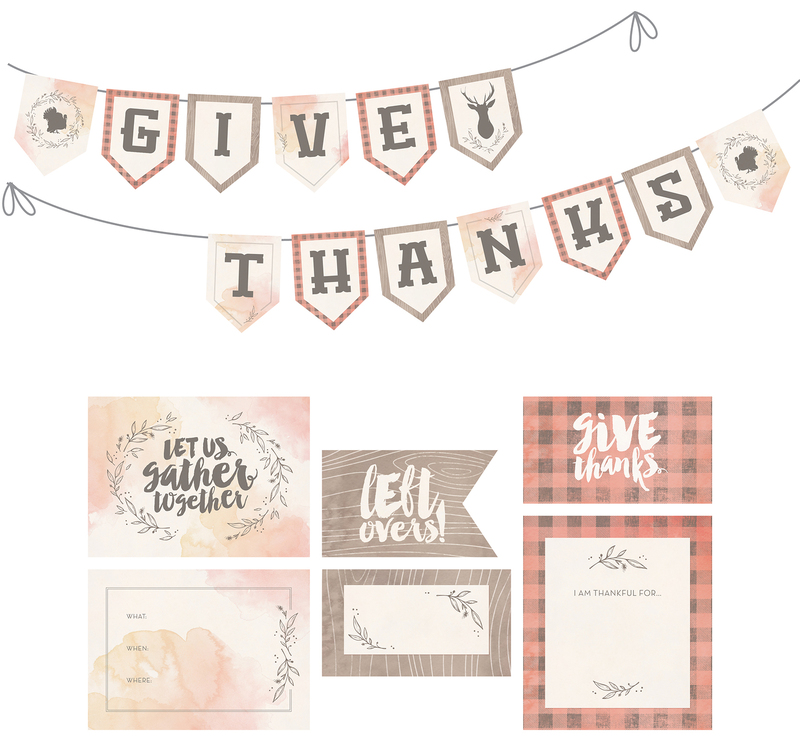 If you’re hosting Thanksgiving this year, our printable invitations and decor pieces are the perfect finishing touches to your holiday scene. If you’re headed back to Grandma’s or to the in-laws as a guest, don’t show up empty handed! Bring some of our printable place cards, “thankful for” cards, leftover labels, and banner letters with you instead; less mess in the kitchen, and each one is 100% guaranteed to beloved by EVERYONE at the table! Step 3: Eat, drink, and be thankful! Click the images below to download your very own Thanksgiving banner, party invitations, place cards, and labels!